Kieryn Darkwater is a transgender former evangelical “Christofascist” who grew up in the Quiverfull movement and uses “they” as a personal pronoun, wrote about their experience as a homeschooled right-wing political activist for the website Autostraddle. “It’s a loose and ambiguous term that basically means anything or anyone that doesn’t align with this very specific view of Christianity must not be allowed to continue,” Darkwater wrote. The Christian right hopes to overturn court decisions protecting reproductive rights and non-discrimination on race, and Darkwater warned that these religious extremists intend to amend the U.S. Constitution to legalize discrimination against women, people of color and LGBT people . The only way to do this is to infiltrate the government,” Darkwater wrote, recalling the training and activism they took part in as a teenager. 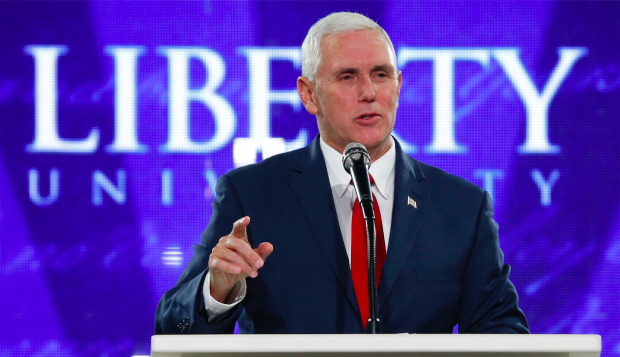 Right-wing Christians have wanted someone like Pence in the White House for years, but a hardline religious conservative hasn’t even been able to win the GOP primary — until Trump emerged as a blank slate with no real principles beyond his own self-aggrandizement. With Trump apparently willing to sign anything Pence and congressional Republicans hand him, Darkwater wrote, right-wing Christians see an opportunity to finally take over the U.S.